I want to reduce window glare! 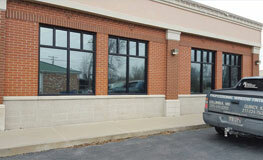 Williams Enterprises sells and installs auto, residential, commercial and governmental window tinting and window film services in the Quincy, Il, and Columbia, Mo areas. Over the course of 30 years providing professional window tinting services, we’ve completed thousands of jobs, large and small. We have satisfied customers from Keokuk, Ia to Hannibal, Mo to Jefferson City, Mo to Quincy, Il — and many places in-between! Call us today at 217-224-7637 or 573-441-2202 for a free initial consultation! Enhance your vehicle's appearance while reducing heat and glare with Llumar automotive window tint. 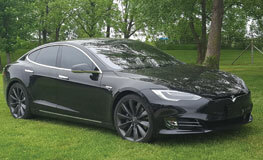 Look cool and feel even cooler with custom tinted windows! 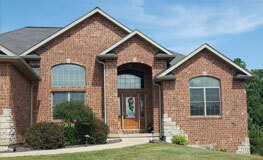 Lower your home's cooling costs, conserve energy and make your home more comfortable with our window tinting films. All at a fraction of the cost of a window. Significant savings plus a payback that can be as quick as three years make 3M window film a smart investment for any building owner. Added safety & comfort are an added bonus! I contacted Steve after I had the back passenger roll-up glass replaced in my car. He went out of his way to help me, even stopping by my work to look at it. The tint matches exactly to the existing glass and the price was very affordable. Steve did a FANTASTIC job and I would highly recommend him.